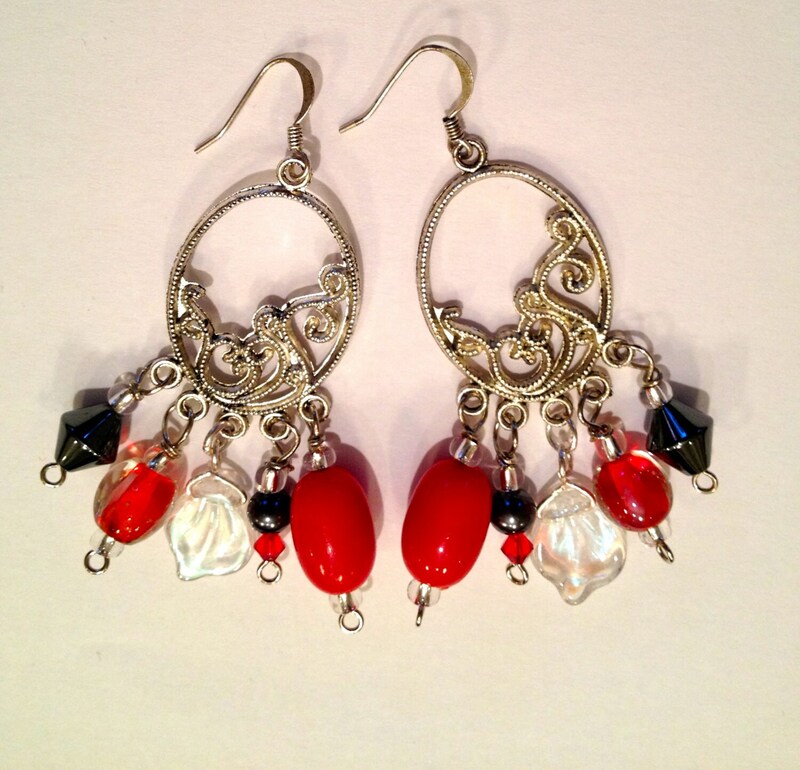 SJC10244 - Red, pewter, silver and Swarovski crystal beaded earrings. 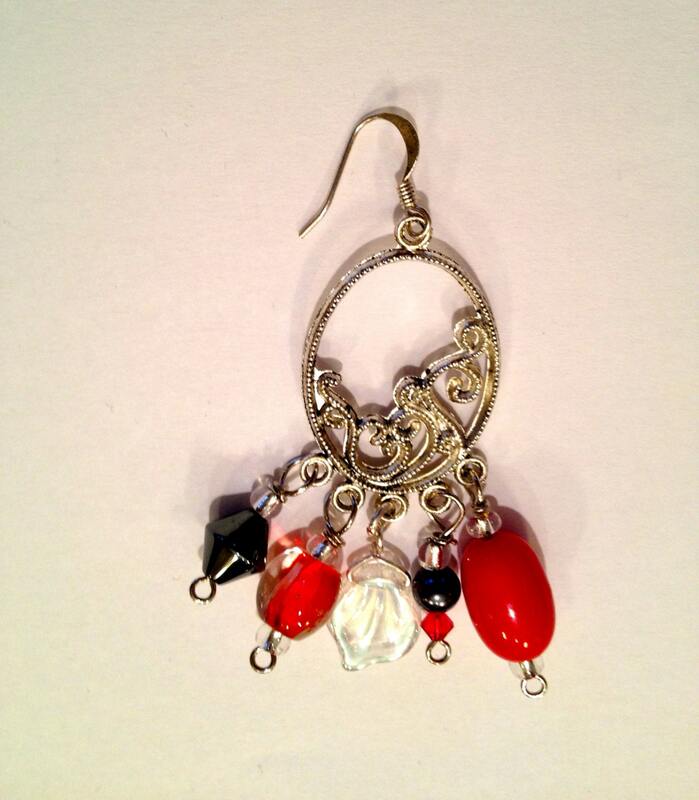 Red, gold, pewter, silver and Swarovski crystal beaded earrings. 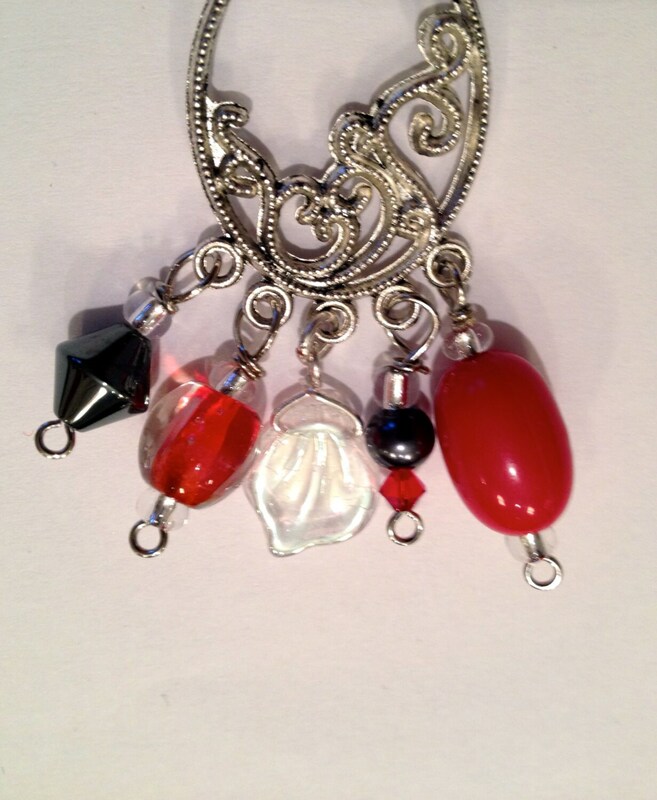 This is made with glass beads, pewter beads, silver seed beads, and a few Swarovski crystal beads. 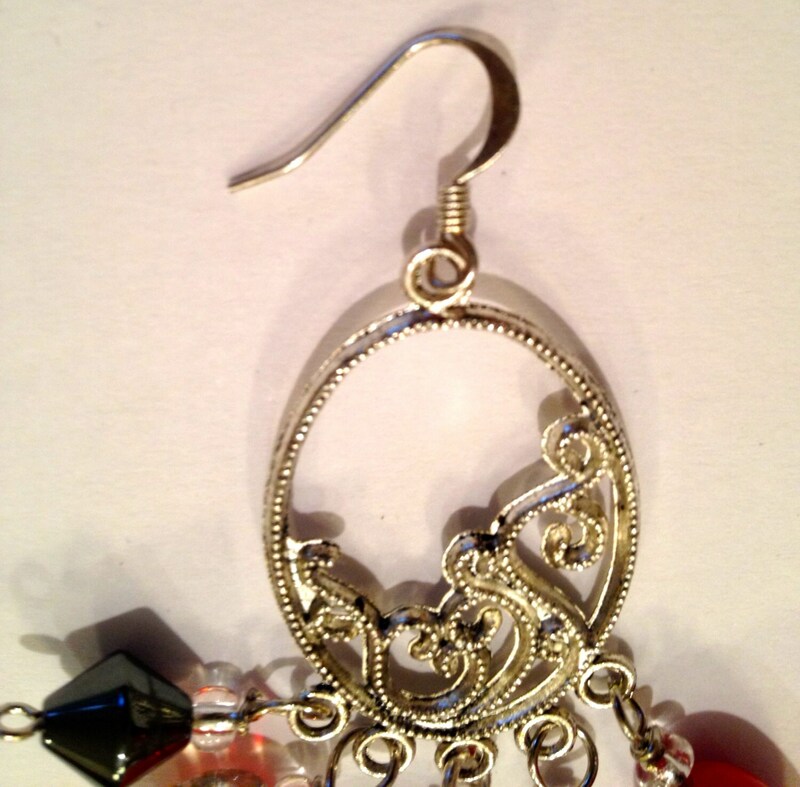 These earrings measures 2.5" long. It is a perfect addition to enhance your Holiday outfit.